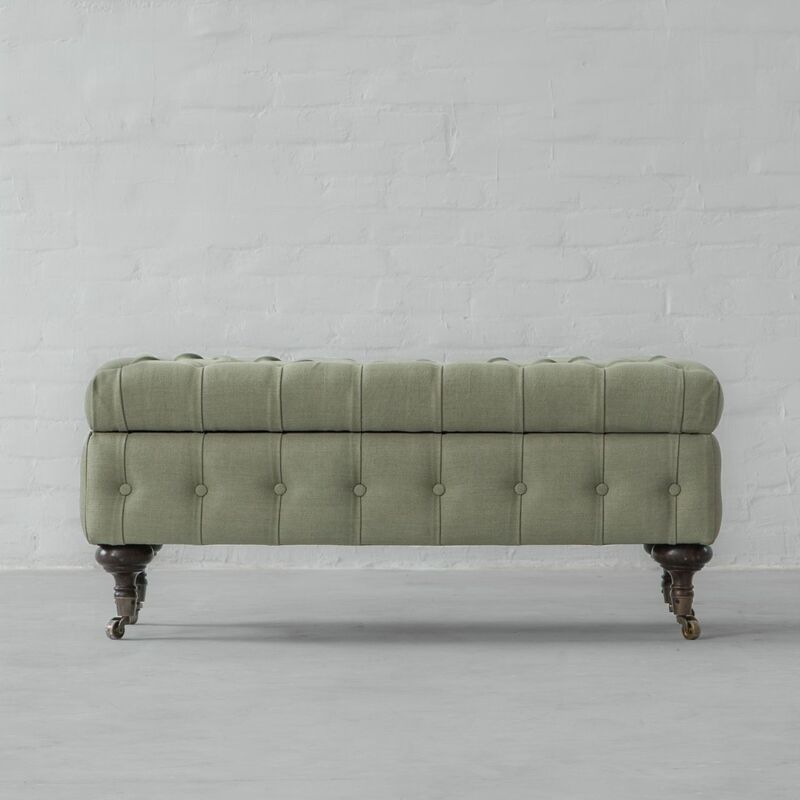 Bench - A versatile addition to your living room or bedroom! 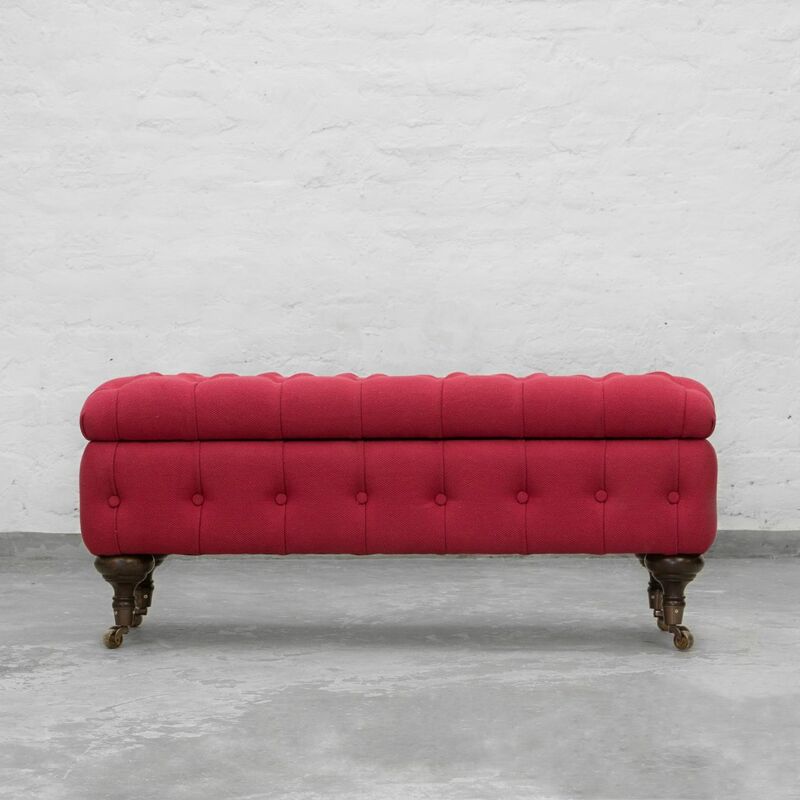 Bench - A versatile addition to your home! Today is the era of ‘India Modern’. While we have progressed tremendously in various spheres, the one common factor that ties everyone together is this new found connection with our roots. We have witnessed a revival of regional crafts in our décor as well. 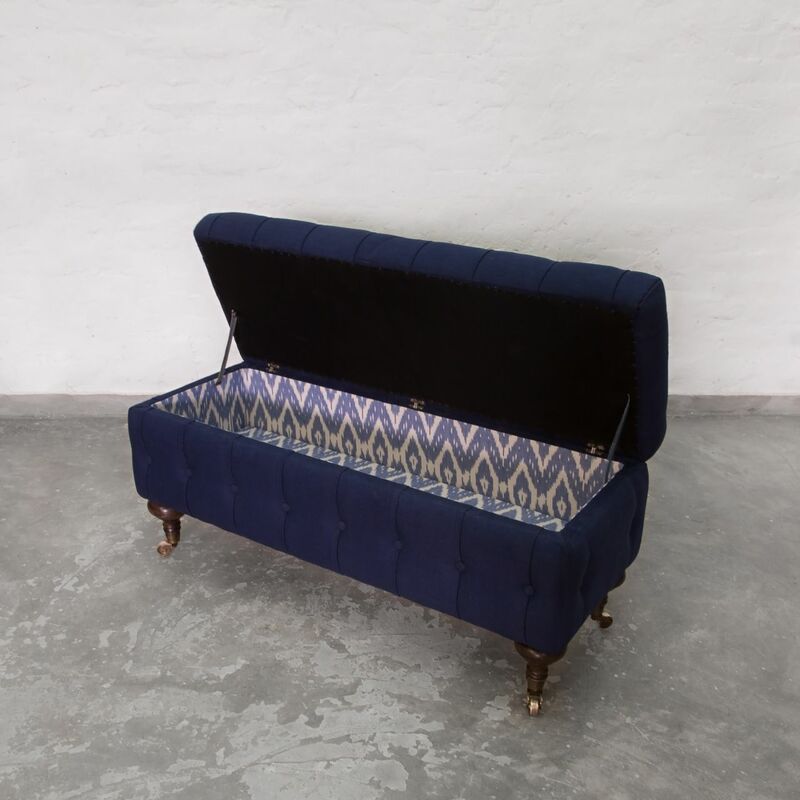 Be it handwoven textiles, be it the comeback of colonial wingback armchair, the royal chaise or revisiting benches and trunks with hidden storage, the new modern consumers want to take inspiration from age-old classics, to incorporate the old world charm into their modern homes. At Gulmoharlane, we believe in making our products more functional and versatile. 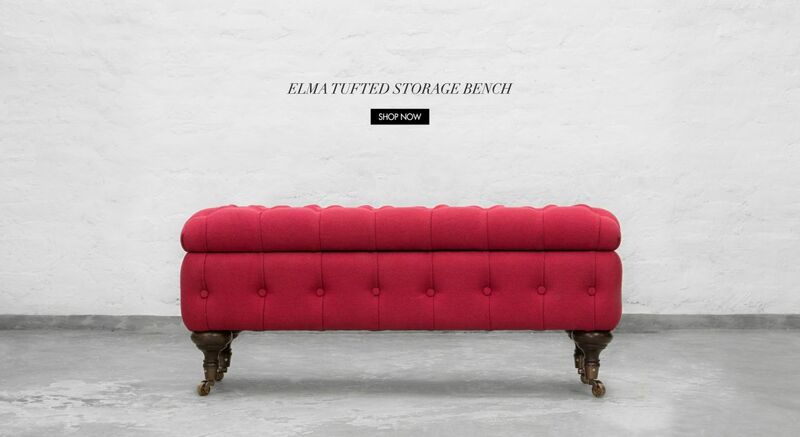 Keeping in view compact modern homes we’ve designed a storage bench to our new range of benches called Elma Tufted Storage Bench. 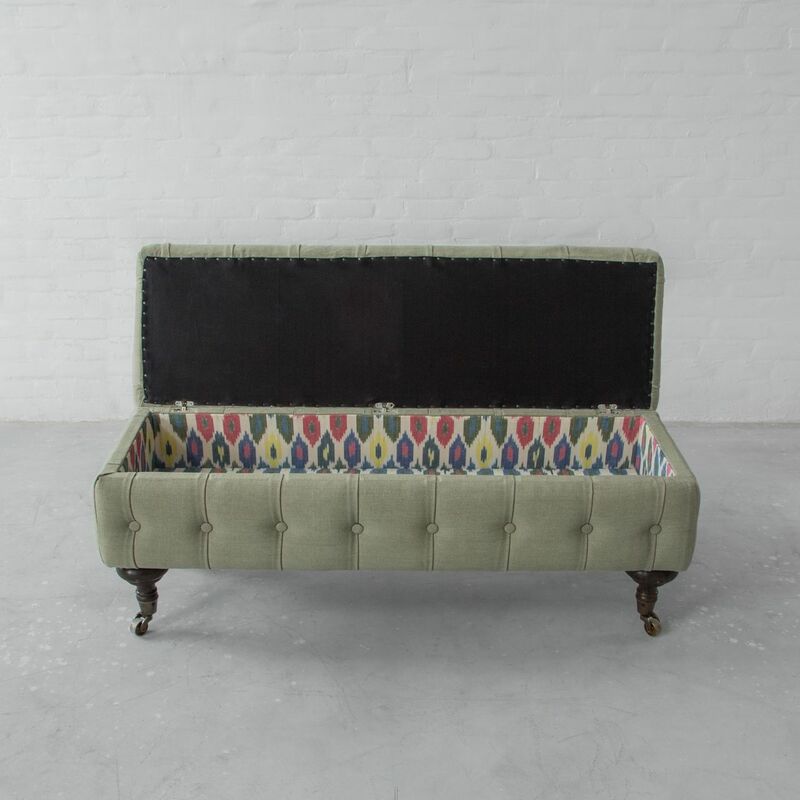 We have offered Elma Storage Bench in an array of natural fabrics & leathers, to match your personalise décor themes.. choose the one that defines your personality. 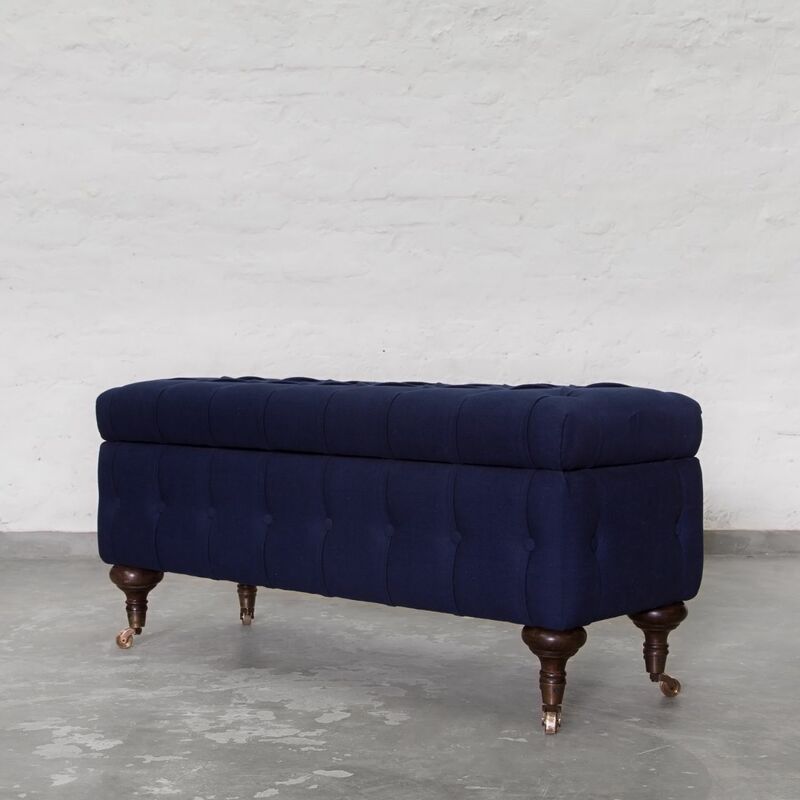 Our Bench is an extremely versatile addition to any home décor. 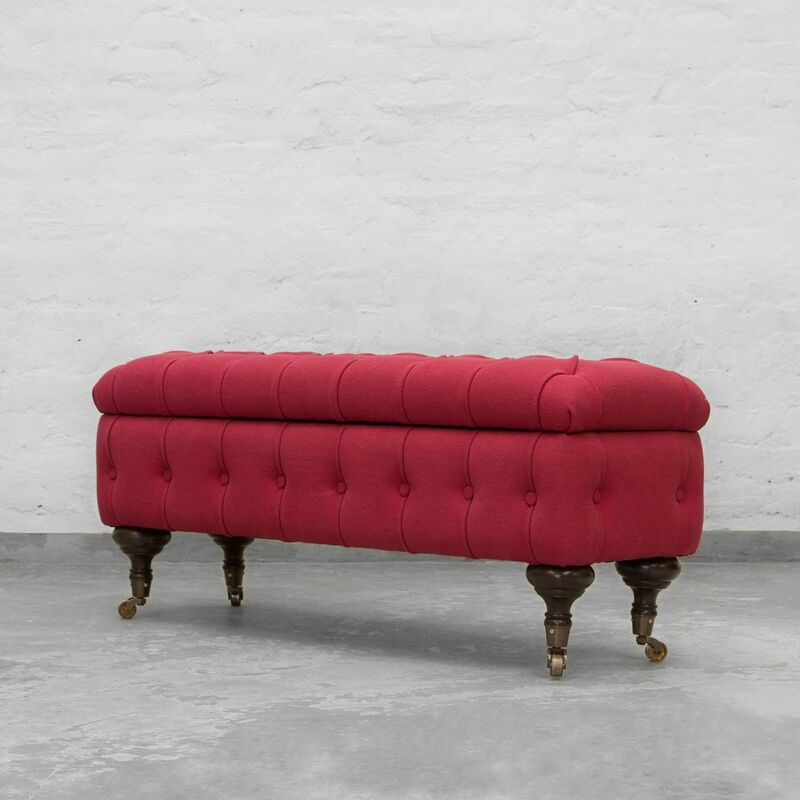 The term 'bench' was coined to refer to backless and elongated secondary seating. While the elongation which separates a bench from a stool is generally intended to provide seating for more than one person. 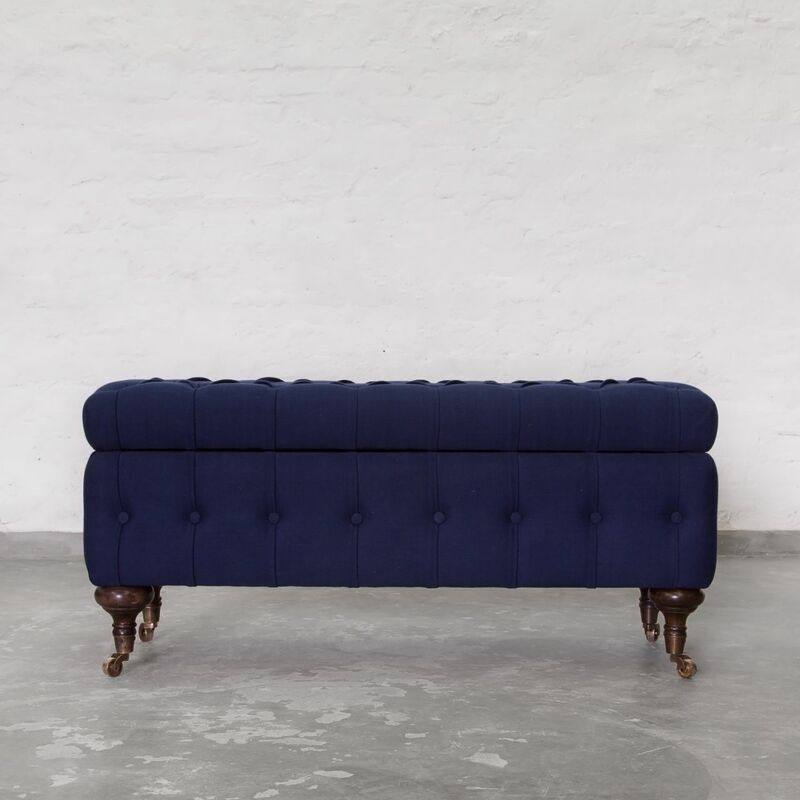 Always intended to be a freestanding and movable form, a bench is perfect at the end of a bed or as additional seating shared between your living and dining spaces. 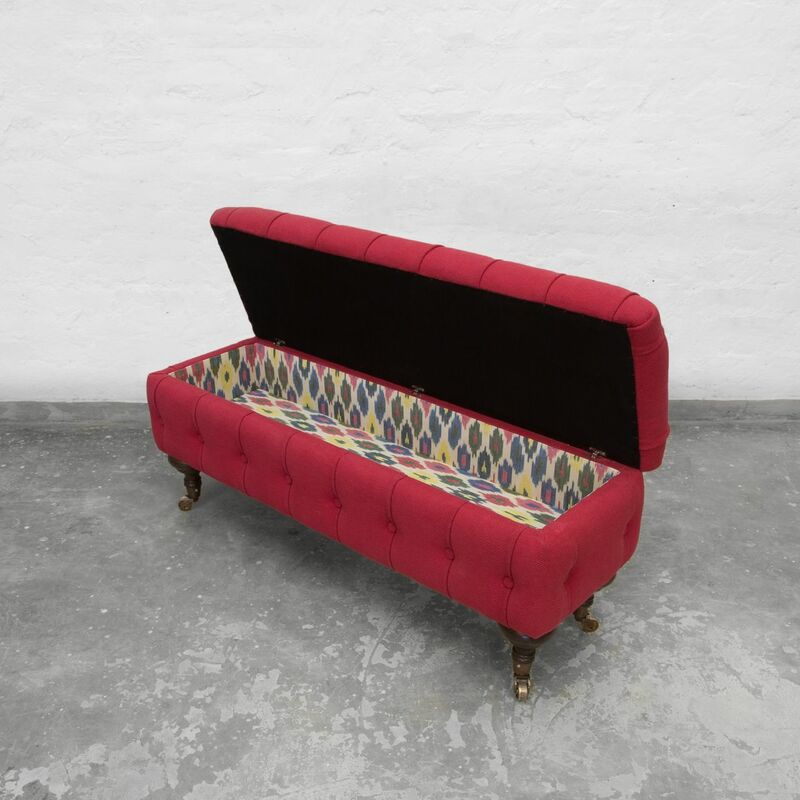 A bench is versatile enough to suit your occasional layout changes. 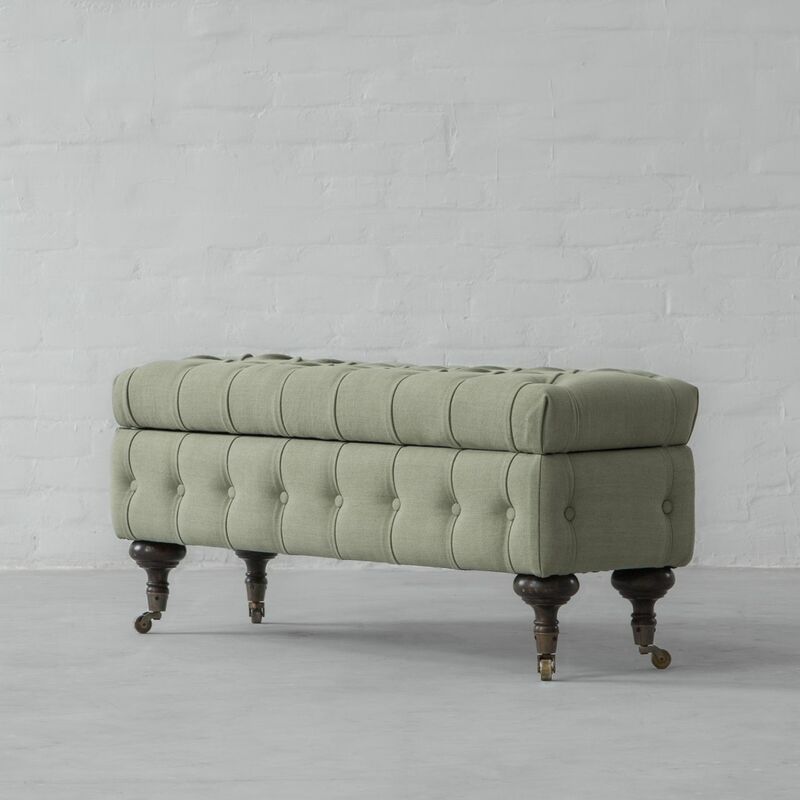 Benches may not be your central furniture but they supplement the rest beautifully. Place Elma next to your bookshelf or the window and enjoy your ME time. It’s intimate and cosy so place it the way you like it!